Passion vs. Dedication: What’s More Important In A Relationship? Literally every guy I’ve seen answers “passion”. Really? Really??? This forced me to do some self-reflection – am I crazy for thinking dedication is so obviously more important than passion in a relationship? Am I alone in this?? 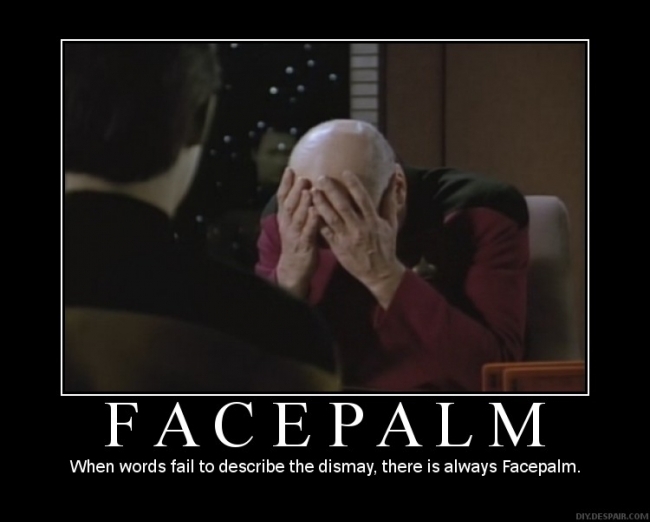 Of course, seeing that so few agree with me, I have to consider the unlikely possibility that I might be wrong. On the other hand, my background in psychology has allowed me to take classes and conduct research on human relationships, so maybe the difference between my opinion and the general opinion of the Okcupid population reflects a difference in education. I have to remember that what seems like common sense to me now is really the product of being exposed to information that most people might not receive. It’s really a shame if this is the case, because I think the value you place on passion vs. dedication in your relationship can have very real consequences. I’d like to explain my reasoning, and then you can decide if I’m crazy, wrong, or well educated (or all of the above). Passion is important. Passion is what draws you to another person. Passion is what gives you that “high” of falling in love, and inspires you to keep coming back for more. Without passion, you’re stuck in the friend zone. While passion is necessary to begin a romantic relationship, it is only one part of a successful long-term relationship (and in my opinion not the most important part). But don’t take my word for it; let’s see what the research has to say. The Triangular Theory of Love, developed by relationship theorist Robert Sternberg, identifies 3 elements of relationships that combine in different ways for different types of relationships. The three elements Sternberg identifies are passion, intimacy, and commitment. Passion is associated with physical attraction and intense emotional arousal. Intimacy refers to a sense of emotional closeness, comfort, and support between two people. Finally, commitment is the choice to be dedicated to a relationship and make an effort to preserve it for the long-term. 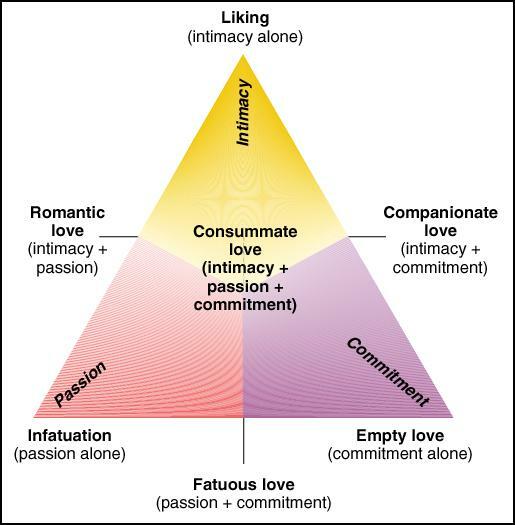 In Sternberg’s theory, the combination of all three of these elements is labeled “Consummate Love” and is basically the holy grail of relationships. While many relationships might start out with all three of these elements, Consummate Love unfortunately isn’t very sustainable. The reason? Over time passion simply tends to fizzle down. Don’t shoot the messenger, that’s just what the research says. Why does passion fizzle down? Passion is associated with arousal and arousal is fueled by adrenaline. Think heart racing, palms sweating, and an intense sense of urgency. Sounds like falling in love, right? Also sounds like a high-speed car race or sky diving, right? According to research, your partner doesn’t even have to be the source of the heightened adrenaline in order for your attraction to them to increase. 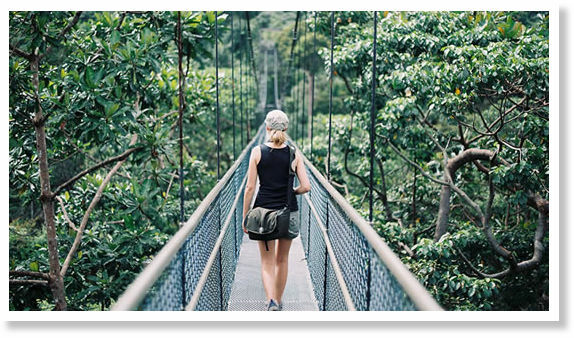 A classic experiment by Dutton and Aron (1974) showed that men who were stopped and interviewed by a female on a rickety, flimsy suspension bridge found the woman more attractive than men who encountered her on a more sturdy and stable bridge. Additional research has validated that heightened adrenaline can be misattributed to another person and increase our attraction to that person. Do I make you randy baby??? This is why passion peaks early in relationships, because the very nature of beginning a relationship is new and exciting. You’re continuously being surprised by learning new things and having new experiences with this person. Without putting any effort into it, the process of falling in love creates adrenaline and makes us feel passion. However it simply isn’t possible to remain in a heightened state of arousal indefinitely. Eventually as you become more familiar with a person, the novelty wears off. Instead of basking in an idealized fantasy of your partner and relationship, you have to face the reality of remaining committed to a real person with flaws and a relationship with ups and downs, or else go seek new passion elsewhere. I realize this might seem like a very bleak and pessimistic view of love, but I don’t think it has to be. Sternberg’s theory labels love with high levels of intimacy and commitment, but lower levels of passion “Companionate Love”. This is the type of stable and comfortable love that is most typically experienced by partners in long satisfying marriages. Companionate love is not based on fiery passion, but on common interests, sharing, and deep friendship. Research shows that this tends to be the stuff happy marriages are made of. Lauer and Lauer (1985) surveyed hundreds of couples that had been married at least 15 years, asking them what made the marriage work. The most common responses were “I married my best friend” and “I like my spouse as a person”. Now I’m not saying we should all accept the inevitable fate of a passionless long-term relationship. Research does show that there is a small percentage of couples that seem to be able to make passion last. I think that understanding the nature of passion, along with some dedication, gives you the best shot at being one of those lucky couples. Unfortunately, fairy tales, romantic comedies, etc. lead us to believe that when we find our “soul-mate” we will be madly in love for a lifetime and effortlessly live happily ever after. I think it’s this misunderstanding about the nature of relationships that might account for such a high divorce rate. It doesn’t seem like a coincidence that the height of passion in a relationship lasts about two years, and most divorces occur after about two years of marriage. If you are passive about your relationship, and expect to live passionately and happily ever after, you’re bound to be disappointed. Furthermore, when passion begins to dwindle you’re likely to conclude that the person you’re with isn’t right for you and seek someone else that gives you that sense of passion (which will be easy because the novelty of someone new will innately fosters arousal, as discussed). ^ Married once, engaged 5 times, currently single. 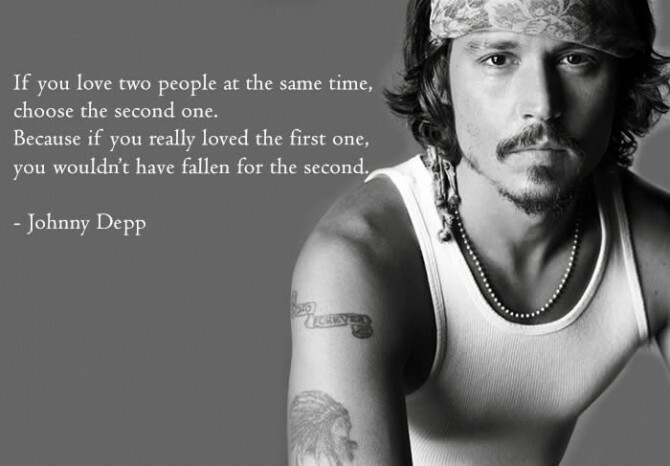 Thanks for the advice Johnny, but I’m all set. On the other hand, if you are very dedicated to your relationship, you can take a proactive approach to keeping passion alive within your relationship. For example, since we know any experience that increases adrenaline can heighten your attraction to a person, doing exciting things with your partner can keep the passion alive. The Self-Expansion Model theorized by Aron and Aron (1997) posits that individuals have an innate inclination towards growth and expanding our self-concept. One of the main ways we do this is through our relationships, and so it’s no surprise that satisfaction in relationships has been correlated with high levels of self-expansion. In other words, satisfying relationships are ones where the partners help each other grow as individuals. Getting to know someone new naturally expands our self-concept, and so no effort is needed to reap the benefits of self-expansion in a new relationship. As time passes, a relationship is no longer inherently self-expanding; the novelty wears off and you’ve already learned most of what you can learn from simply getting to know your partner. Thus relationship satisfaction can also decrease, but there’s a silver lining. Researchers have been able to increase couples’ views of the quality of their relationship by getting them to engage in new and exciting activities together. So you can improve your relationship by putting a conscious effort into planning new and exciting activities with your partner that help you both grow as individuals. Take home message: Passion is important, but not likely to be maintained over time without dedication. Furthermore, placing too much emphasis on passion in your relationship is dangerous, because it sets you up for failure. When the passion in your relationship dwindles (as it almost inevitably will) you will doubt your relationship, be tempted to give up and start over with someone new, and eventually repeat the same pattern. Rather than looking for someone who fills you with endless undying passion, look for someone you enjoy and respect as a person. 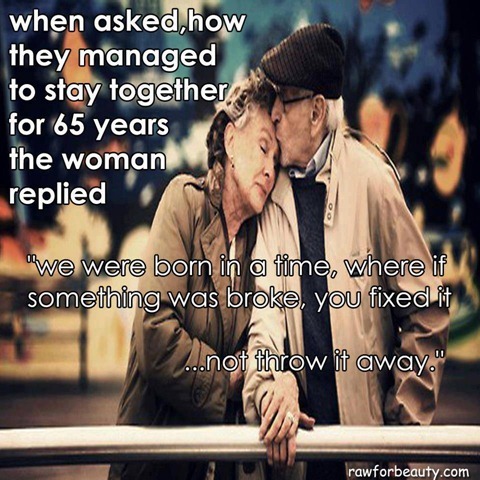 Take the advice of most happily married couples, and marry your best friend. Then put some effort into making that relationship as exciting as possible. *side note: I haven’t looked at women’s answers to the OKcupid question, but I wouldn’t be surprised if there was a gender difference. Research shows that men have more romanticized ideas about relationships, whereas women are more practical. Hence men are more likely to emphasize passion over intimacy or commitment. Knowing this, I shouldn’t have been surprised by all the “passion” responses from men. This means that men generally place the most value on the least sustainable aspect of a relationship. Wake the ef up dudes! Nytimes.com: New Love: A Short Shelf Life? Scienceofrelationships.com: Is Long-term Love Possible? Scienceofrelationships.com: Hot and Heavy or Slow-and Steady?